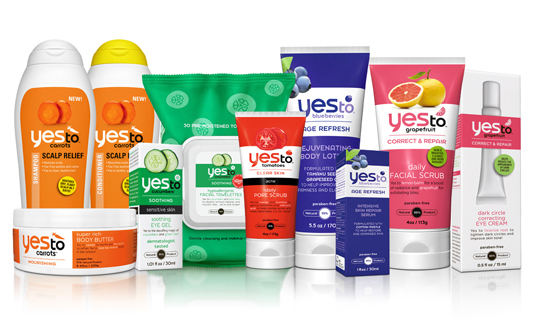 This week’s Expensifier of the Week is Yes To, a global leader in natural skin and hair care with awesome and affordable products made with fruits, veggies, and a smile! Founded in 2006, Yes To, Inc‘s award-winning formulations are over 95% natural, have proven results, and are free of parabens, petroleum, and SLS. They offer seven unique collections, including products for face, body, hair, lips, and even babies to allow people to create their own natural ‘recipe’ that works for them. Look at this beautiful team! 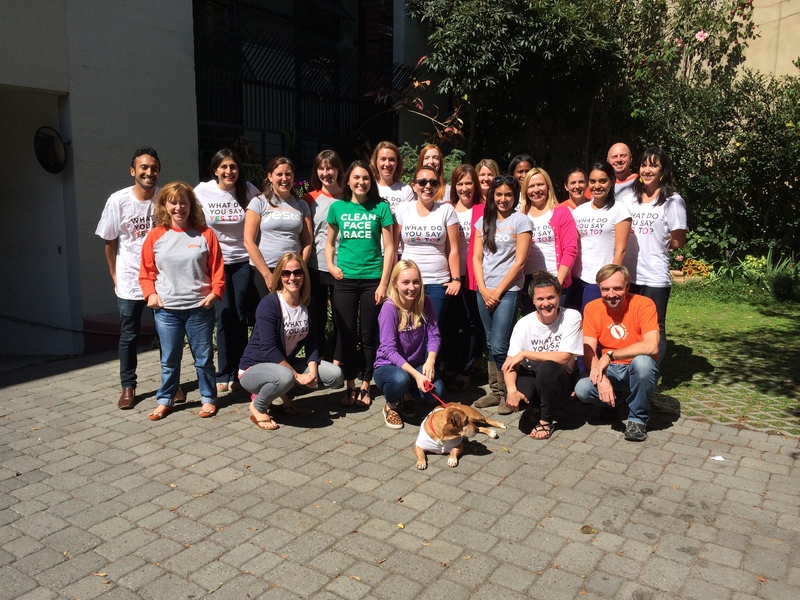 Picture this: a fun-loving, wine-drinking, yoga-doing, active-life-living bunch of folks in San Francisco who a) create affordable natural products that really work, b) give back by providing 50,000 meals to kids around the globe, and c) have a pretty awesome time doing it. In case you haven’t figured it out yet, that’s the Yes To team. From events and showcases around the country, the team travels often to spread the message about their natural skin and hair care products. While their products are innovative, their expense reporting solution was not. She continues: “The process took days, so we then upgraded to downloading credit card activity and creating individual spreadsheets for each card holder with drop down menus for the expense accounts. Each card holder would complete their spreadsheet and go through the painful process of taping all their receipts to blank pages and attaching those to their printed spreadsheet. These would also have to be manually entered by the same dedicated employee. When we switched to Expensify, I think I saw that person shedding little tears of joy,” says Hart. “After a quick poll to see if our prospective users would appreciate the implementation of Expensify, an overview the low costs of Expensify and adding up how much time would be saved across the board, switching to Expensify was unanimously approved,” recalls Hart. Favorite Feature? How About Features? While speaking with Hart, she mentioned a couple of features that her team found extra beneficial and helped make processing information easy. “Importing and exporting data is very easy to do within the [Expensify] system. The process of downloading and uploading the information into our ERP system is made very simple with Expensify’s customizable download features. Yes To’s internal documentation also improved with Expensify. “Paper receipts disappear, but not in Expensify. Now that we use the app, we don’t have to worry about receipts turning blank or getting torn off. 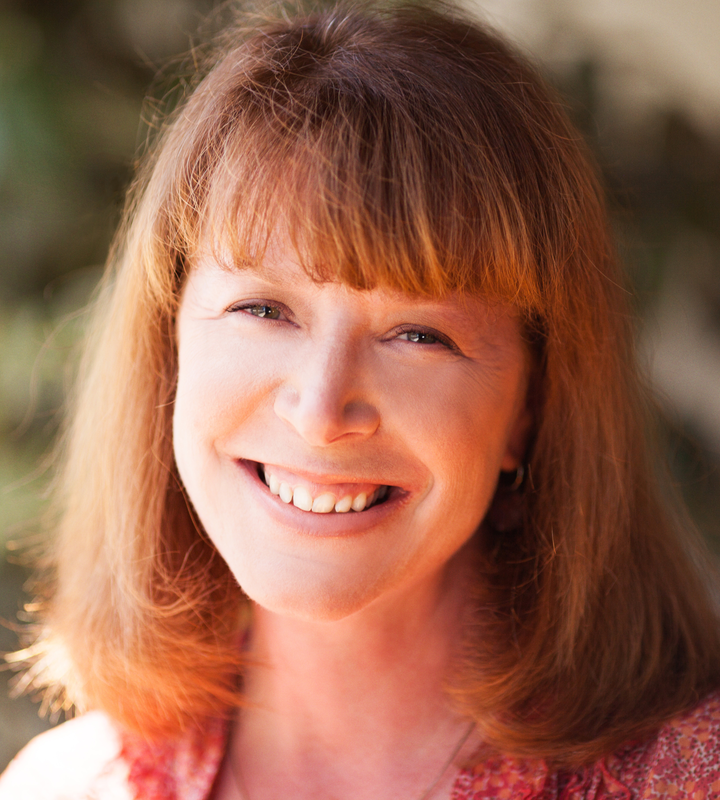 The app easily stores all expense reports electronically,” she says. We love that the Yes To team loves our mobile functionality, and we can’t wait to hear what she says when our new Real Time Expense Reporting features come out! Customer Service: Not Really a Feature But We Love It! “When we migrated from using QuickBooks to Oracle, we needed to find a new way to upload our data to our new ERP system. Multiple customer service representatives were very helpful in assisting Juliet, who is responsible for managing expense reporting, with designing a personalized download template that fit our needs,” Hart recalls. See? Expense reporting can be just as easy for you if you let it be (not to mention, Yes To transitioned accounting packages without a hitch on their own)! We love that we’re helping Yes To focus on spreading their product’s message to people all over the world by leaving the expense reporting to us. Like what you hear? Switching from Quickbooks to Oracle and need a clean, easy-to-use expense reporting software? Try us out for free today or email sales@expensify.com to learn more about how we can simply your expense reporting process!